This is a big milestone for them! Your teen will make all kinds of decisions in their life, some a lot bigger than others. Making the choice to attend a college or university to continue their education certainly falls in the category of big decisions. Deciding they want a higher education is only half the battle though; there is the fact that they first need to make it into the school and program of their choice. While it may seem like it’s all on them, there are steps you can take to help them prepare for college or university admissions, thereby increasing their odds of getting an acceptance letter. A month or two before admissions is not the time to start preparing. In fact, ideally, they want to start thinking about college or university a year before the admission process begins. This gives them a chance to work on areas that might need a little attention in order to look good on the application. For example, maybe your teen is struggling in a subject such as calculus. Rather than just hope for the best, you can help them to find services, websites, and assistance in understanding the content. Sites such as Calculus-Help.com can be extremely useful for this exact thing. Another tip is for them to start volunteering in the community. Volunteer work looks great on applications and shows the school that the teen is dedicated and passionate about various causes. It helps to paint a picture about them, which admissions officers pay attention to. If there is a chance that your teen may be moving out of the house to attend school, then you will also want to start teaching them about responsibility. Up until this point they are used to having someone else look after things such as the bills, grocery shopping, laundry, cleaning, cooking, etc. Going away to school can be a pretty rude awakening if they aren’t used to looking after themselves. During their senior year, start encouraging them to take an active role in the household and start to learn what it’s like to look after themselves completely. College and university is a much more independent learning environment. Students need to step it up, be organized, and really be on top of things where time management is concerned. They will be juggling multiple classes, assignments, and papers which means a lesson in organization may be necessary. You can have a discussion with them about the important of organization and talk to them about tools that may help. Today you can find all kinds of free organizational apps, many of which are made for college and university students. They can also use a day planner, calendar, or any other tool that helps them stay organized. 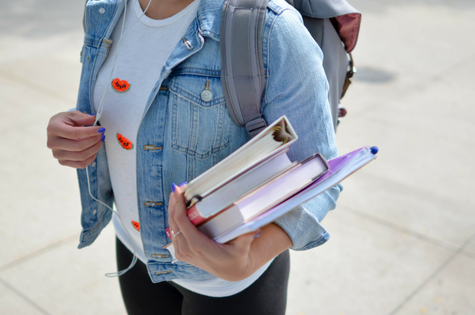 All of these tips will help you to arm your child with the tools they need to prepare and be successful in their college or university years. I suppose I’ve selected an unbelievable and interesting blog.